The Hues – Page 2 – Post-apocalyptic magical girls. Hi everyone! Now that all of September is squared away, I wanted to check in with you all! The next comic update will be in mid-October, probably the week following ComiqueCon! We’ll see how the next two weeks shake out. :) It’s gonna be another four-pager. All the works in progress will be up on Patreon if you’d like to join us over there! 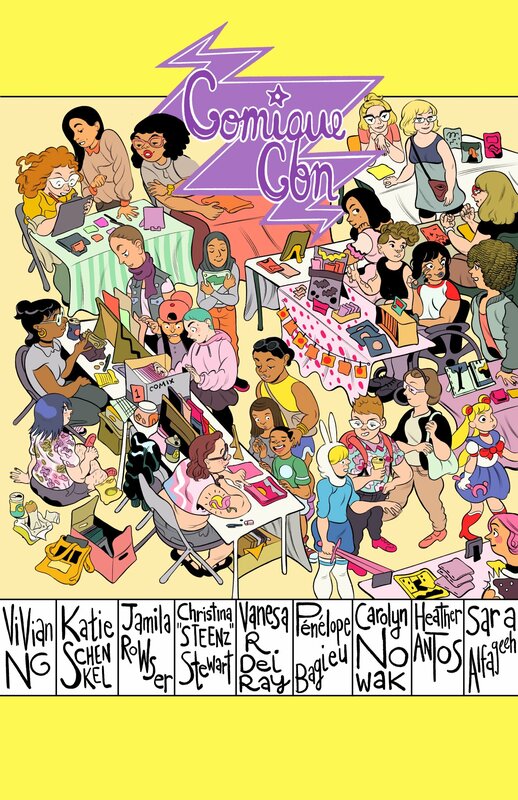 Speaking of ComiqueCon, I’m going!! I’ll have my Spectrum Make-Up minicomic AND a free coloring page version of it, so kids (OR WHOEVER) can color their own mini. I’ll have a big cup of colored pencils, it’s gonna be great. And the usual books, buttons, and sketch cards! I’m very much looking forward to the show. Here’s an action shot of the coloring page, which I posted on Patreon a while back! Hi folx! How are you doing? Today I’m releasing my first digital sketchbook! The Hues Sketchbook #1 contains over 600 images from the making of the first volume of TH. I’m also going to SPX in Bethesda, MD next month! I’ve never been before!! I’m aiming to draw a new mini to bring to the show, so I hope to see some of you there. :D I’ll let you all know when I get my table assignment and map, too! Hello, hi! 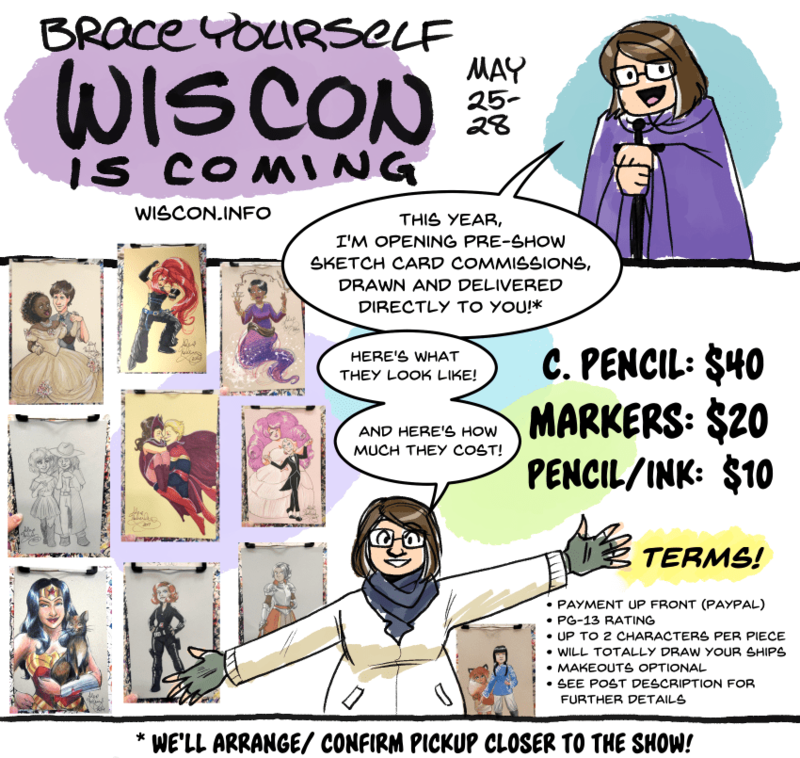 WisCon, my favorite convention, is now a mere two weeks away, so this is going to be all the pertinent info on where to find me during the show, as well as a last call for preordering commissions! 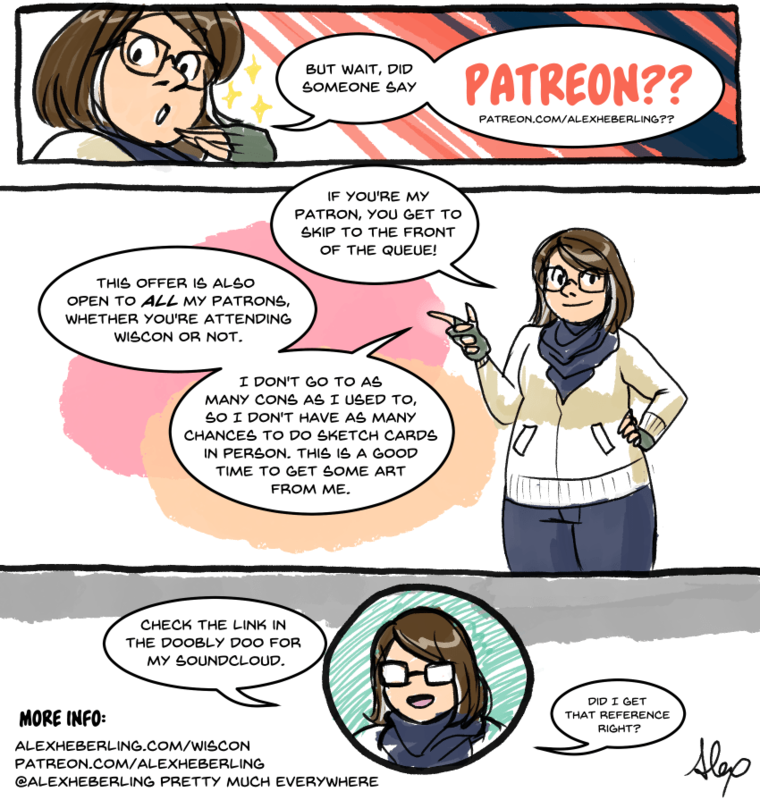 Head over to alexheberling.com/wiscon for further details, now featuring a comment field for leaving messages! I’ll be on four panels at WisCon, as well! I hope to see you there! Have a great day!